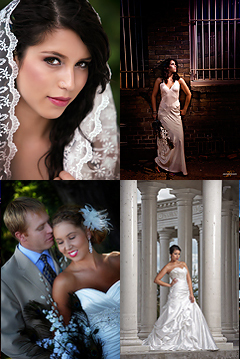 Follow our step by step programs and be a full time professional photographer. You've got the passion and the dream. There are only a few short steps to making that dream come true. Enjoy the creative freedom of being your own boss. Thousands and thousands of people around the world achieve personal and financial freedom through professional photography. Let us help you start on the road to success and avoid the common pitfalls that hold others back. 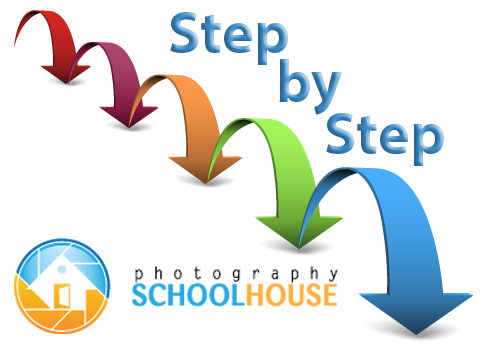 Start with our Step-by-Step programs today. To be a success at professional photography, you have to know two things. 1) great photo technique. and 2) even better marketing technique. After all, what's the point of being a great photographer if you can't get the word out and bring paying customers in the door. Photography Schoolhouse Step-by-Step programs teach you both parts. All our programs include instructions on photo technique and marketing as well. It's simply the best way of getting started on your new career. One of the explosive areas of professional photography is photographing babies. It's a year round business and easy to get into. But doing it well can elude most new photographers. In this series we define and show the exact steps of how to photograph and market everything from the maternity session to the end of the first year and present a first year wall panel. This is a great way to establish new clients and get them coming back for years to come. This package includes high definition Recordings in MP4 format and can be viewed from a PC or MAC computer. One of the best ways of starting your new photography business is with The Business Portrait marketing Kit. Everything you need to get your photography business jump started and on track. The wedding business is one of the most lucrative areas of professional photography, and the most daunting. It is the one area where failure is not an option. There are no re-shoots. So having a fail-safe system to guard against problems is a must. In addition, you need to know the current styles, trends, and "must-get" shots so you always have a happy customer. This is the most complete kit, we've ever produced.